How is a work permit obtained? 1. In order for an expatriate employee to obtain a work permit, he/she should be sponsored by a licensed establishment registered with the Ministry of Labour. a. The employee should be no less than 18 years of age and no older than 60 years. b. The employee should master a profession or hold academic qualifications that are needed in the country. c. The employee should have a passport valid for no less than 6 months. d. The employee should be physically fit and not have any communicable diseases. 1. After arriving in the country, an employee should be in possession of an employment contract with the establishment that he/she will work for. This contract should be drawn up in Arabic but may be drawn up in English as well. 2. The employment contract should be drawn up in 3 copies, one to be given to the employee, another to the employer and a third to be kept with the concerned labour department. 3. The employee should make sure he/she has obtained his/her copy of the employment contract, which should be kept throughout his/her work with the establishment. 4. The employment contract should particularly show the date of its conclusion, date of commencement of work, type of work, worksite, period of the contract if it is for a definite period and the pay. 5. The employment contract should be reviewed and attested by the competent labour department. 1. The employer should obtain a labour card for the recruited employee within 60 days from the date of arrival of the recruited employee in the country. In case no labour contract has been obtained, the employer will be accountable to the penalties incurred in this connection. The employee’s work in this case will be in violation of the law and the decisions governing the employment of non-nationals. It is recommended in these circumstances that the employees notify the competent labour department accordingly so that the necessary measures are taken against the employer. 2. The employee should be medically fit for the work he/she has been recruited to perform and should be free of diseases as shown by a medical certificate issued for each employee by one of the country’s competent medical authorities in accordance with the instructions issued in this connection. 3. The card is issued for three years, renewable for a similar period with the consent of both the employer and the employee. In this case, the labour card should be renewed within 50 days from its date of expiry. 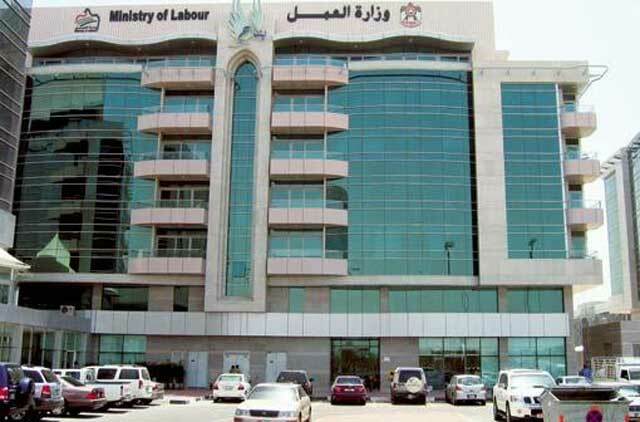 The labour card, however, may not be renewed after the lapse of the said period unless the employer has presented an excuse which is accepted by the ministry. In this case, the ministry will collect the determined fees as penalties for delaying the renewal of the labour card. The employee, however, may no be employed after the expiry of his/her own labour card. 4. The employee should undertake to pay the fees related to the employment contract and labour card and the penalties incurred by the non-issuance or non-renewal of the labour card within the given period. 5. All employees should keep their labour cards when moving in the country. 2. The employer should bear the expenses of the employee’s return to his/her home country or any other destination that has been agreed to by the two parties. 3. In case the employee has joined a new employer after the work relation with the former employer has come to an end, the new employer will be bound to bear the employee’s travel expenses at the end of his service. 4. If the contract has been terminated for a reason related to the employee, the employee will be deported at his/her own expense, if he/she can afford for it. 5. In case of death, the employee’s body will be taken to home country at the employer’s expense.